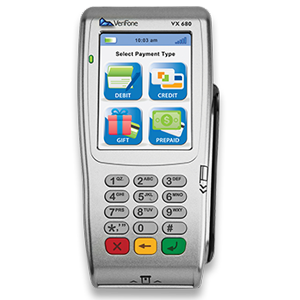 Verifone is an American card machine and ePoS manufacturer with distribution and sales throughout the UK. First founded in 1981, Verifone has gone on to become one of the world’s premier manufacturers of premium card machines. Today, Verifone card machines are available from top merchant account services like Elevon and Barclays, as well as through Verifone itself. If you’re looking for card machines or Point of Sale (PoS) solutions for your business, the company is likely one of your top options. However, you still need to know if they offer the customer service, pricing, and quality you need for your business. Verifone is one of the largest card machine manufacturers in the world, but it’s still important that you know what they are offering, what machines cost, and what you can get out of them. Keep reading to learn more about Verifone card machines available in the UK. 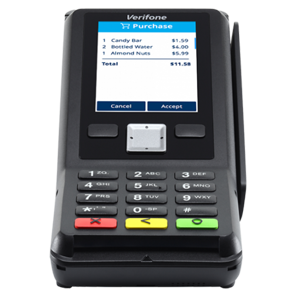 Verifone offers numerous card machines in every category, including countertop, mobile and portable, pin pads, multimedia, and unattended POS. The option you choose should depend on your industry, how you sell to customers, and the access point for the specific location. Countertop card machines are ideal for retailers with physical stores but who do not need to carry the card machine to tables and customers. These are the ‘standard’ for card machines, and typically present in most retail stores. 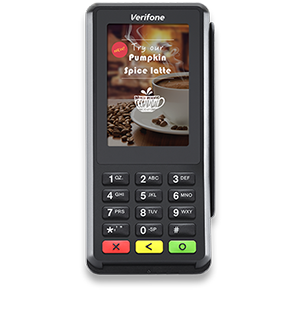 The VX 820 Duet is Verifone’s flagship countertop card machine, featuring a 3.5″ colour touch screen, 500mb memory, and large backlit keypad. It’s also fully PCI DSS compliant, features PCI PTS 3.0 encryption, and accepts contactless payments. The VX 520 supports contactless and NFC payments with a full colour screen, 400mb of memory, SD card slot, and fast processing. The card machine also features a durable design, offering up to 500,000 card insertions plus a 1-year warranty. The Verifone V200c is Verifone’s budget countertop card machine, but still performs extremely well in its category. The model features 348mb of storage with a 2.8″ colour LCD, backlit keypad, and strong security features. If you’re looking for a countertop model, it can be difficult to determine which option is best for your needs. 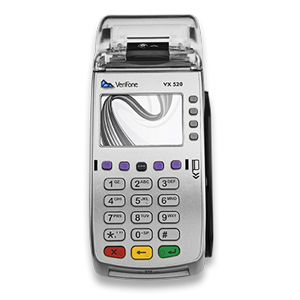 Verifone offers one mobile card machine in the UK. This machine is ideal for mobile businesses such as freelancers and contractors who accept payments on-site. The VX 675 connects via Wifi, GPRS, and Bluetooth, enabling you to cut costs when at your home location, while offering maximum portability. 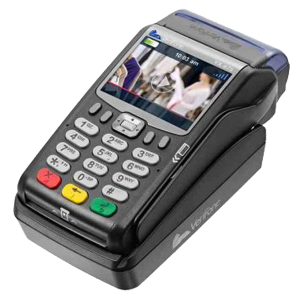 The mobile card machine also offers a 2.8″ full colour screen, 192mb memory, backlit keypad, and PCI PTS 3.0 encryption for added security. Prices range from £320-£485. Portable card machines are valuable for using inside of service industry and other areas where the point of sale moves to the customer within a set location. 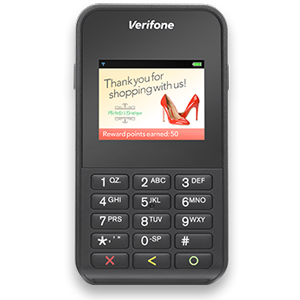 Verifone offers two models to retailers in the UK. The VX 680 features a 3.5″ colour LCD display with 192mb of memory, and Wifi or Bluetooth connectivity. The system is secured to PCI PTS 3.0 standards with a 7.2 V 1800mAH lithium-ion battery and charging dock. Users can also install apps from VeriFone’s store to add features, ePoS, and other solutions. The Verifone e355 is a modular portable card machine compatible with most ePoS including iOS, Android, and Windows systems and is designed to be paired with a tablet to create a low-cost and portable POS system. It features 192mb of memory, a 2.4″ LCD screen, and a scanner for pricing input, as well as Bluetooth, Wifi, and USB connectivity. Pin Pads are lightweight, simple card machines with fewer features and therefore a lower purchase cost than countertop machines. Like countertop models, they are not always portable. However, unlike countertop models, Pin Pads do not come with a base, so are best for anyone who already has a POS but needs a pin pad. With a 3.5″ colour screen, 160mb of memory, and support for EMV, contactless, and NFC payments, the VX 820 is extremely close to the Duet countertop model. 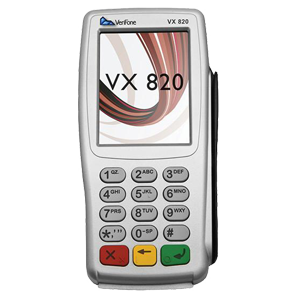 However, with less memory, the VX 820 is less able to stand on its own as a full-functional POS. With a 3.5″ colour LCD touchscreen, 384 mb of memory, and a Linux-based operating system for added security, the Verifone P400 is a strong standalone pin pad, capable of integrating into any Linux-based POS system. The system is secure to PCI PTS 4.0 encryption standards. Both Verifone’s UK pin pad options offer strong features, but the largest difference is the operating system. The P400 operates on V/OS while the VX 820 runs on Verix. 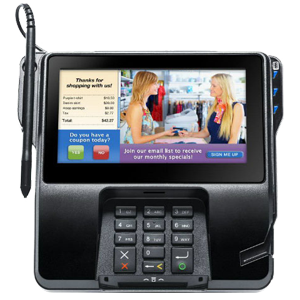 Verifone’s multimedia card machines offer large digital screens capable of displaying ads, product info, and other details while customers order for branding, upselling, and infotainment. The MX 925 features a 7” WVGA colour touch screen display, full contactless and NFC payment support, and 512mb of memory. With rich multimedia capabilities, the system is ideal for customer-facing POS where upsales and added purchases are easy from the register. The MX 925 also features a video decoder, PCI PTS 4.0 encryption, and connectivity over USB, Wifi, Bluetooth, or RS-232. With a 4.3″ colour touchscreen, the 915 is the MX 925’s smaller and more affordable brother. The multimedia card machine otherwise offers the same features and specs, but in a much smaller package. Unattended card machines enable customers to check out themselves, and typically, must integrate into self-checkout or self-pay systems and feature strong security to prevent hacking and identity theft. Verifone offers 7 unattended card machines in the UK. 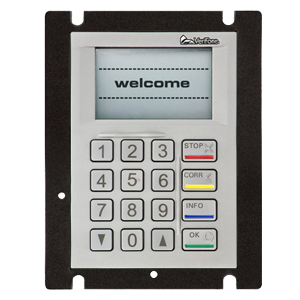 The UX 100 pin pad features a 2.5″ monochrome screen, white backlight, and 3.5X PCI Security standards to guarantee secure display and PIN entry. The solution is designed to pair with the UX 300 and 301 card reader. 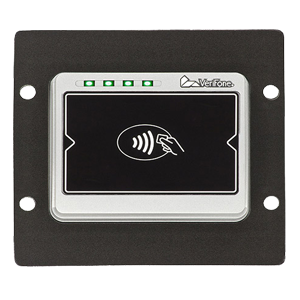 The UX 110 pairs with card readers, to offer high-security and anti-vandalism self-service purchases. 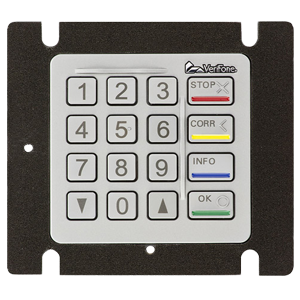 With no integrated screen, the keypad must be integrated into a card reader with a screen. The UX 300 and 301 card readers are card slot devices with no screen, designed to be paired with the UX 100 pin pad and screen. 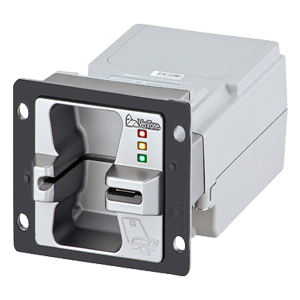 The card reader features PCI PTS security, anti-vandalism, and water resistance, ideal for parking lots and other outdoor self-service areas. 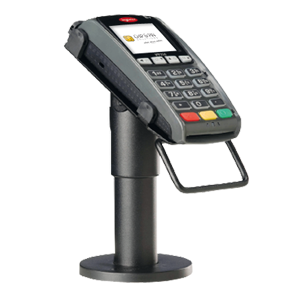 The UX 400/401 offers contactless and NFC payments but does not include a screen or card reader. The system is weather resistant, highly secure, and vandalism resistant. 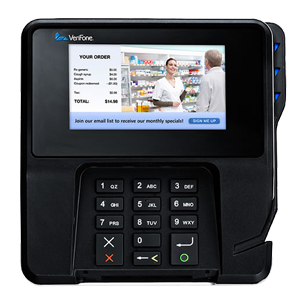 In addition to offering a variety of card machines, VeriFone provides ePoS and POS for industry-specific applications including Tax, restaurant, e-commerce, and more. Verifone offers numerous retailer solutions, with contactless and NFC payments, loyalty programs and gift card support, and omni-channel sales support. Verifone’s card machines are installed in more than 25 million retail stores worldwide, making the company one of the most popular in the world. Verifone offers online payment gateways, one-click checkout, and mobile shopping integrated into existing ePoS and PoS systems. With strong security, comprehensive data collection, and multichannel integration, the system works for most retailers. Verifone offers a range of portable card machines featuring multiple payment options, currency conversion, and support for customer loyalty programs. A range of self-service devices make it easy to set up petrol stations, parking lot payments, and other standalone or self-service payments including contactless, NFC, and EMV card. Mobile card readers make it easy to accept payments anywhere, cut queues, and enable self-service. Verifone also offers a custom Taxi payment gateway, with flat transaction rates at 3.9%. While Verifone is a large, international company, most of their employees are in the United States and in sales offices. This means that customer service can be difficult to contact and unhelpful when you do get in touch. For this reason, you should typically source a Verifone card machine through a local supplier or your merchant account service to ensure that you get adequate customer service with your card machines. However, representatives are available 24/7 – so you can get in touch no matter what the time of day. All Verifone card machines come with a 1-year manufacturer warranty but you can continue to request (and pay for) servicing for as long as you own the machine. Verifone operates one repair centre in Dunfermline, Scotland, meaning that repairs can take some time. However, if you lease or purchase your Verifone card machine through a third-party supplier such as your merchant account, you will likely source servicing and repair through them. 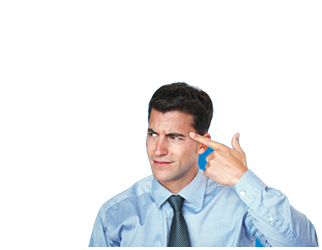 Verifone does not offer contracts, only direct sales. However, you may be able to lease your Verifone card machine through another company, which will include a lease. Pay attention to early termination, service fees, and 24-hour replacement fees, which many companies charge without full disclosure. All Verifone card machines comes with a full 1-year manufacturer’s warranty. You can also choose to purchase additional buyer-protection to cover your machine in case of defect, failure, or accidental damage. This includes liquid damage, drops and collisions, and other types of accidental breakage. Verifone does honour the Buyer Protection very well, so it is a good investment if you are in an area where damage is likely. 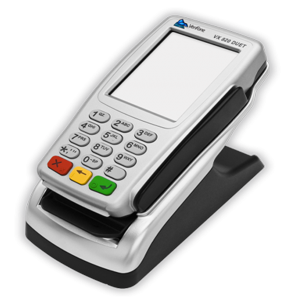 Verifone card machines are available for sale and lease from many merchant account providers. You may also be able to purchase your own through a variety of services such as Amazon, eBay, or directly from Verifone in the UK. In most cases, leasing is considerably more expensive, with rates typically starting between £15-£20 per month. Because most Verifone card machines cost less than £600, you may eventually pay considerably more for the lease. However, leasing does offer advantages such as more comprehensive warranty, quick replacement, and updates as new technology becomes available. Verifone is one of the most popular card machine manufacturers in the world, but they are a premium brand. If you’re looking for a budget card machine, Verifone is not what you are looking for. However, if you need modern technology, contactless payment, and colour screens, Verifone has some of the newest and best card machines on the market. If you’re not sure, consider comparing VeriFone card machines that meet your needs to other similar models from brands like First data, Dejavoo, Ingenico, HandPoint, and Pax to ensure that you’re getting the best deal.